Today I read an article about Nokia, the one-time world leader in cellphones and how they are now rated as “Junk” by the financial world, and it got me interested in Microsoft because their OS runs on the newer Nokia phones. Apple has two operating systems iOS for mobile devices and Mac OS X for laptop and desktop, while Microsoft has merged their mobile (Metro) and desktop OS (Windows) into the upcoming Windows 8. 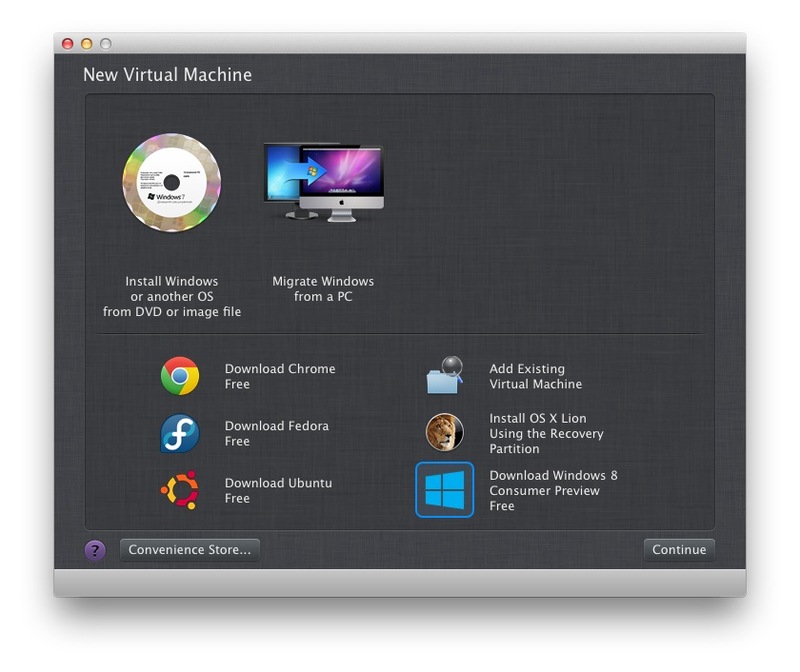 My first step was to double check that I could run Windows 8 Beta on my MacBook Pro using the Parallels virtualization software. 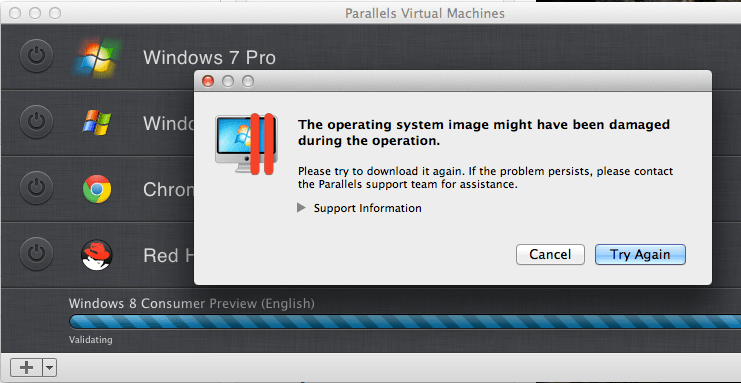 Yes, according to Parallels this can be done. My second download ended in exactly the same state as first, failure. While waiting for the Windows 8 install to complete there’s an animated swirl of five stars to mesmerize you into a hypnotic state and forget about time passing. The opening Metro screen uses tiles instead of icons, and you can make them wider, narrower, re-arrange, or un-pin them. I found that the background color is constantly changing in Metro. 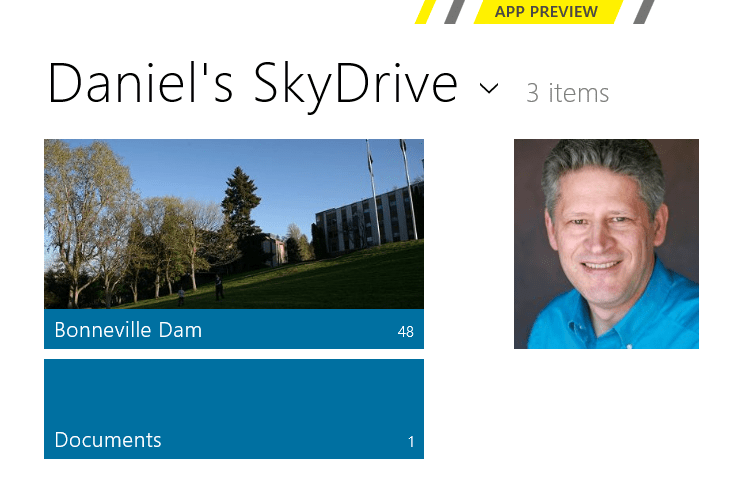 The first time you visit the background is a style pattern and solid color, then in SkyDrive the background is white, but when looking at Photos on SkyDrive the background changes to black. Thank you Microsoft for the very liberal free storage capacity of 25GB for me, that is just wonderful. 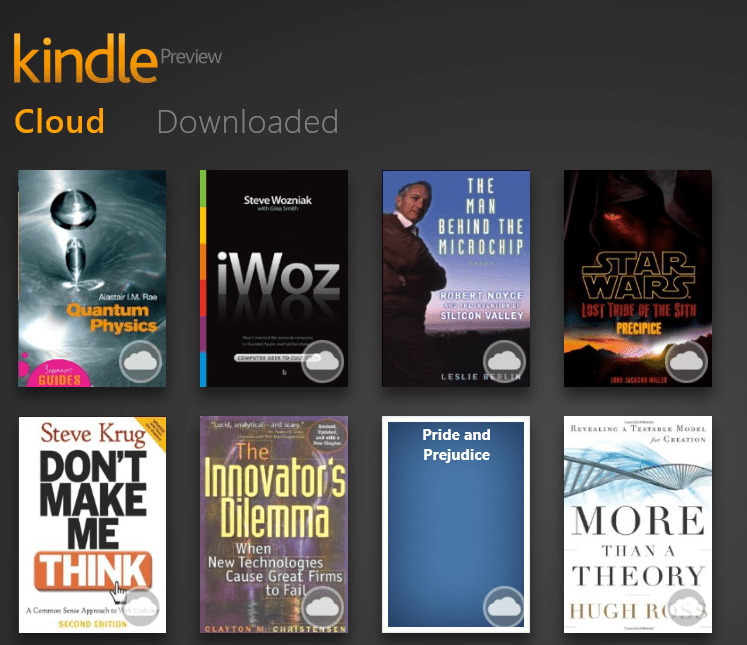 Windows 8 adds every App and Program on your computer to the Metro start page, so it’s a hassle when I downloaded the Kindle App because it gets added to the farthest right of the screen, causing my to scroll about 8 pages to even find it. 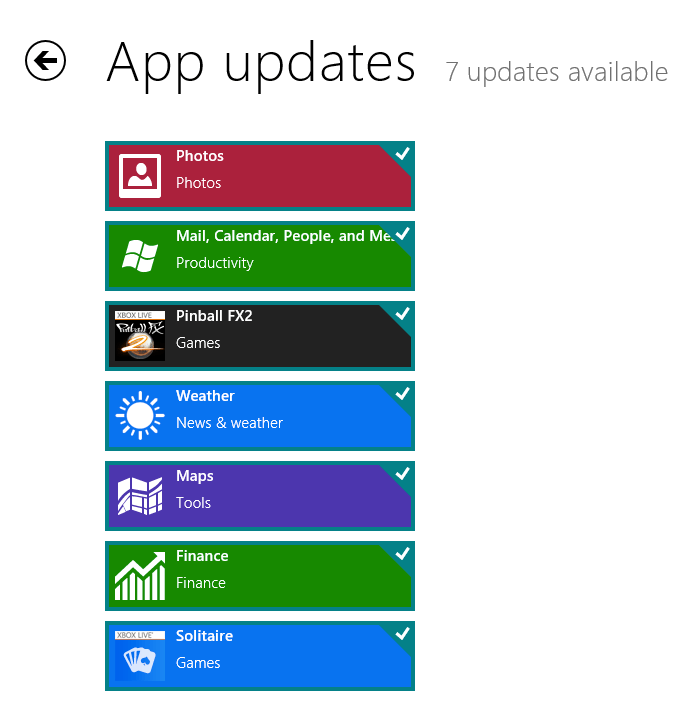 I would prefer that new Apps are pinned to the Start screen on the far left with now scrolling, not the far right. On the Android when I add a new App it gets added alphabetically, while on iOS new Apps get added to the farthest right screen (still don’t like it, too much scrolling). 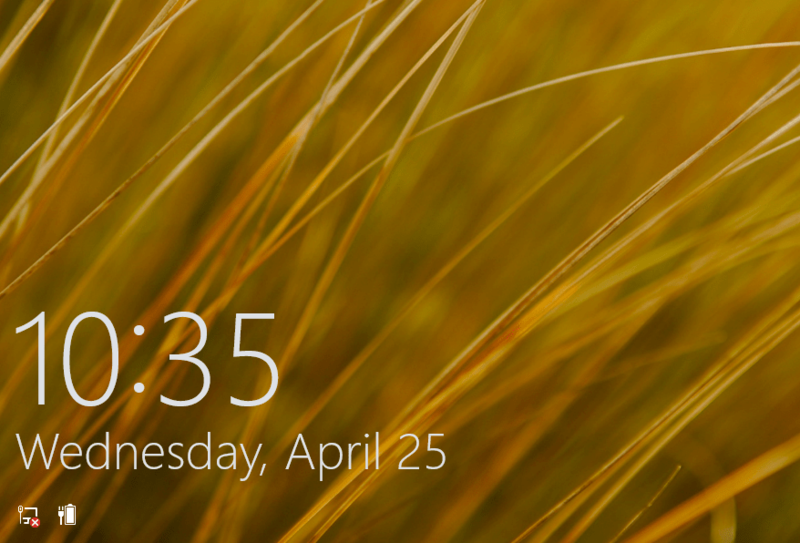 From the Start screen you click Desktop and see something that looks just like the Windows 7 desktop. The marketing folks at Microsoft want you to believe that Metro and Windows are now merged however I don’t drink that Kool-Aide because clearly these are two totally separate Operating Systems glued together, there is simply nothing merged about it. You are either working with the Metro UI or the old familiar Windows 7 UI. 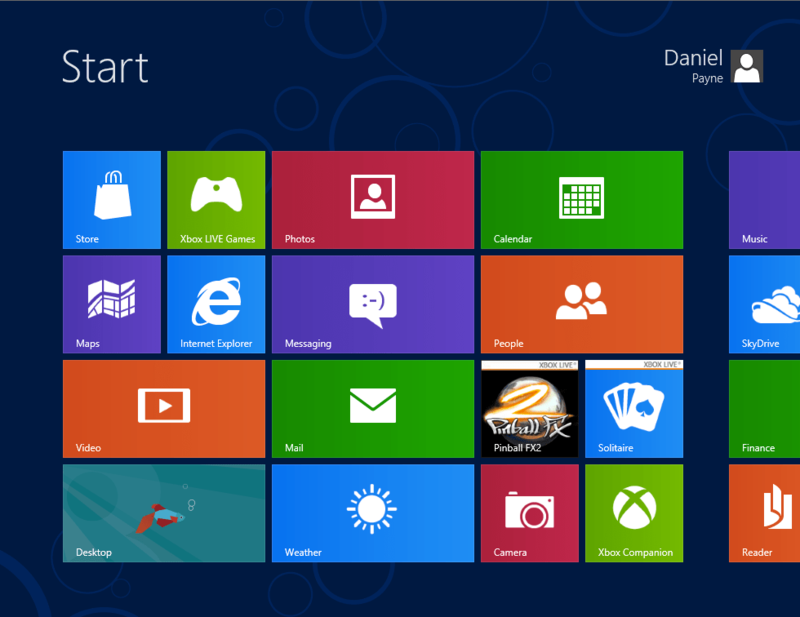 Honestly I am underwhelmed, but have no choice but to learn and use Windows 8 because my clients will be using it. Microsoft documentation tells me to click the Windows button on my keyboard to switch back to Metro from the Desktop or App, however on my MacBook Pro the equivalent key is the right-hand Command button. 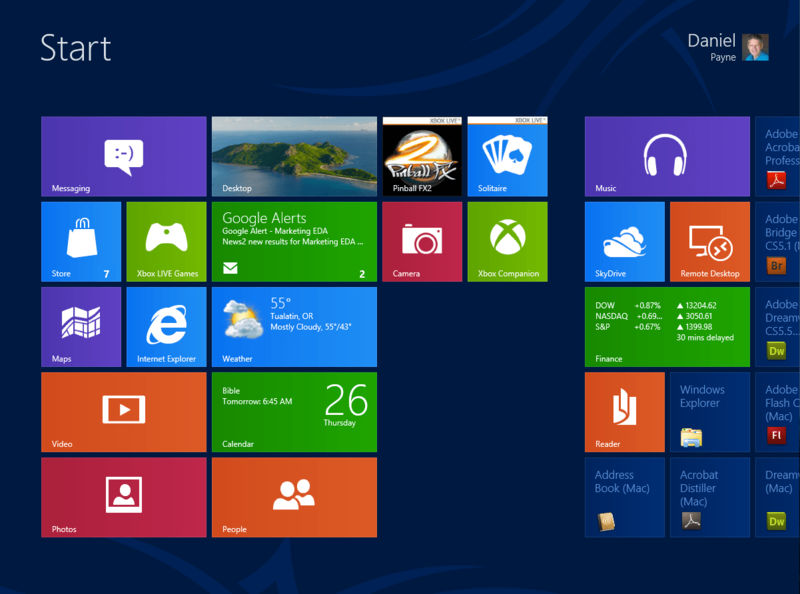 Microsoft will certainly continue to extract their OS upgrade tax moving Windows 7 users into Windows 8. I’ve really just scratched the surface of what Windows 8 will do however I can say that this OS does have a learning curve, works OK with a mouse, and the Metro UI should work OK as a touch-based UI. 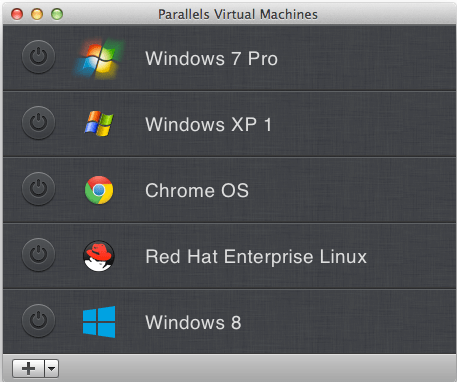 Windows 8 works fast enough for me as a virtual OS under Parallels on a MacBook Pro, at least as fast as Windows 7 did. 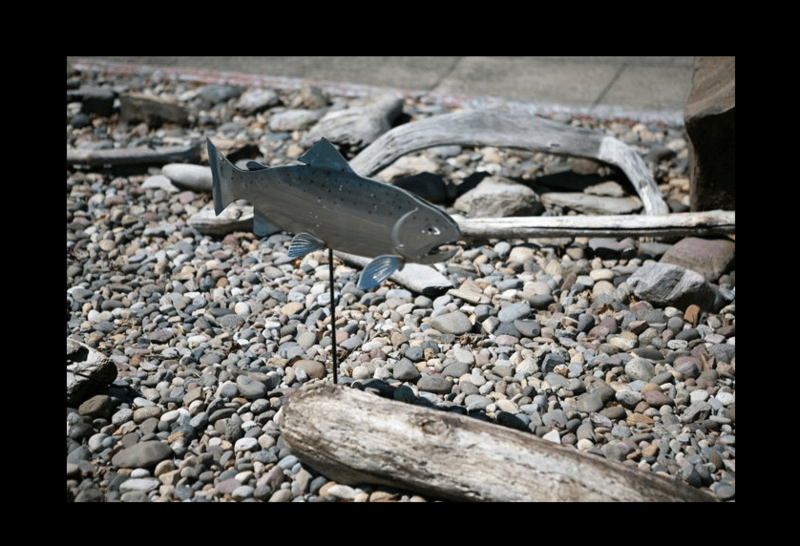 Will your life forever be changed for the good after buying and using Windows 8? Uh, no. 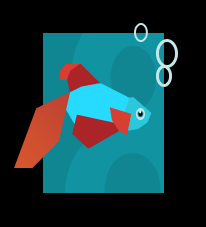 Download Windows 8 Consumer Preview here, I would recommend on a PC to add a new partition and keep it separate from Windows 7, on a Mac get Parallels which will keep it separate from your other OSes.